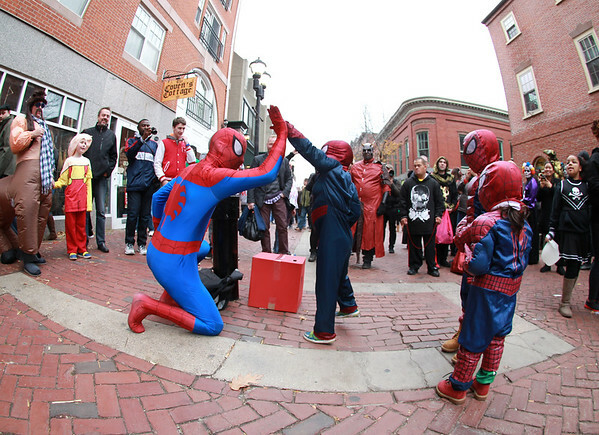 A Spiderman gets a high five from a smaller Spiderman as two other Spidermen watch. DAVID LE/Staff photo. 10/31/14.